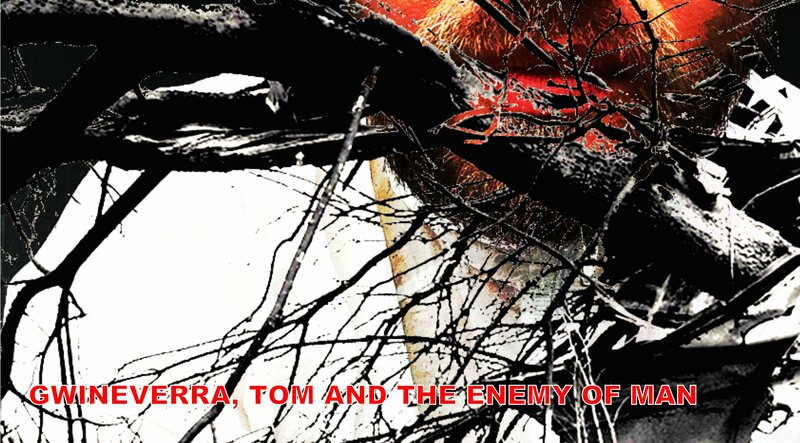 Gwineverra, Tom and the Enemy of Man is a graphic novel performance set at the very beginning of the 21st century. There is dream and death. The characters live in a crime-ridden city where the placement of action and words is offhand and seeks no forgiveness, yet is soft and ultimate, an instant memory, a mark. Something is familiar, but becomes past as it happens and separates itself from what is. Billie Hanne, whose colours are purple frosted and floral.